The Amerock BP19013CSG9 Bar Pulls 10-1/16in(256mm) CTC Pull is finished in Sterling Nickel. Modern functionality meets straightforward styling. Simple. Bold. True. The sleek and sophisticated design of the Bar Pulls Collection makes a statement with clean lines and smooth textures. Sterling Nickel is a cool, smooth and metallic silver-toned finish that is timeless and subtle. 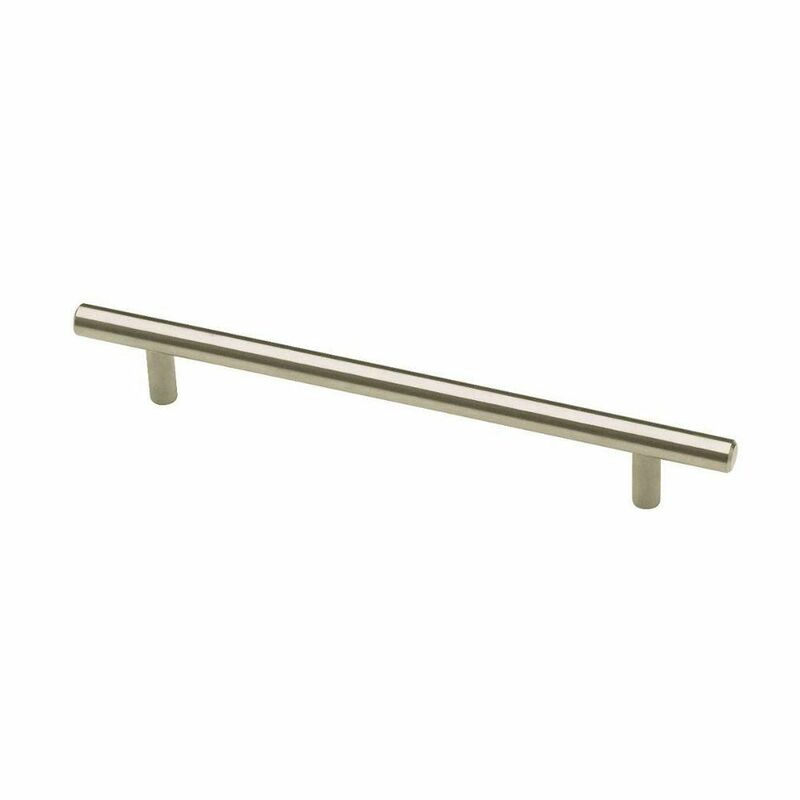 128mm c-c 188mm Overall Flat End Bar Pull From the Liberty Hardware Stainless Bar Pull collection, this pull offers functionality with a simple modern style. The Stainless Steel finish coordinates with today's popular stainless appliances, and the extended size is great for larger cabinet drawers and doors. Installation Hardware is included, and additional sizes are available. 128mm c-c 188mm Overall Flat End Bar Pull is rated 4.6 out of 5 by 33. Rated 5 out of 5 by Patrick from Perfect fit. Made my kitchen cabinets and drawers look much... Perfect fit. Made my kitchen cabinets and drawers look much better. Rated 3 out of 5 by Marie from Overall, look nice! Some were defective. When the... Overall, look nice! Some were defective. When the handle was being installed, the part on the handle where the screw goes kept loosening/ breaking.